The opening of the annual exhibition of the painting group I attend was held on Saturday at the Bryce Gallery, 122 Riccarton Road. This is my third year exhibiting, and it's a great way to exhibit your work without the pressure of doing a whole exhibition by yourself. As always there are lots of great paintings, in a variety of styles – something for everyone! 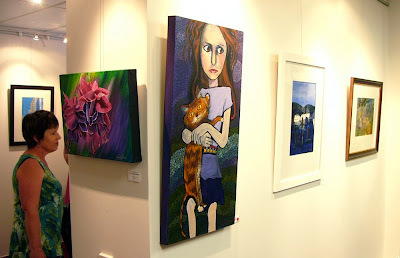 Our usual venue, Gallery O in the Arts Centre was damaged in the earthquake, so Maree had to find a new venue. 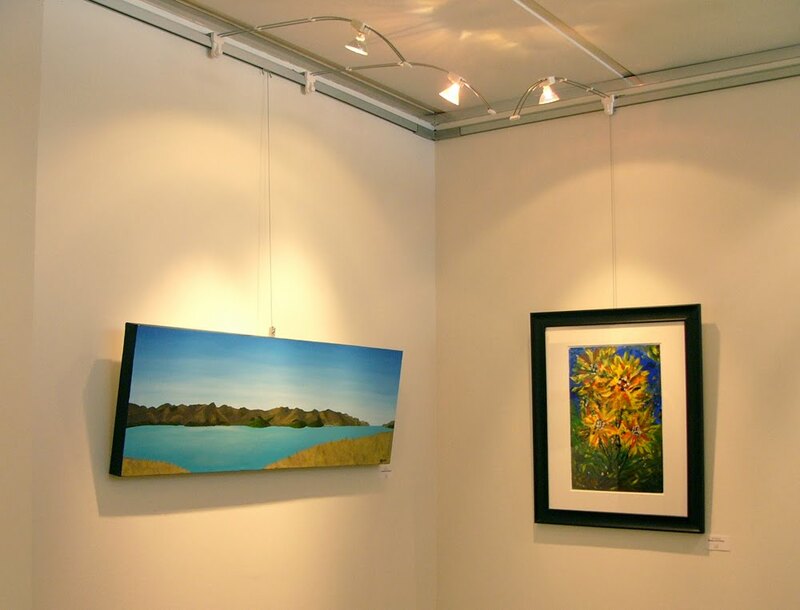 The Bryce Gallery came to the party, and kindly offered us a space in their gallery. There are some other great exhibitions on there at the moment as well, so it's well worht a visit. Vibrations runs until Friday 3rd December. The black and white wall ran with the earthquake theme, and before all the pictures were straightened, it was decided they fitted the theme better if left that way! 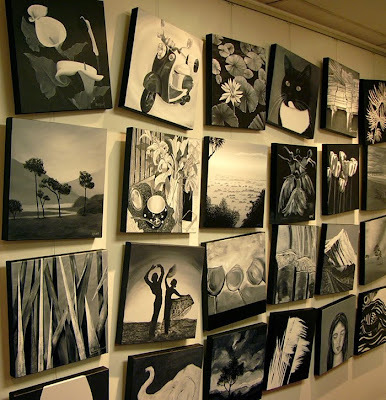 Above is my work for the black and white themed wall, titled 'Mists of Maruia'. 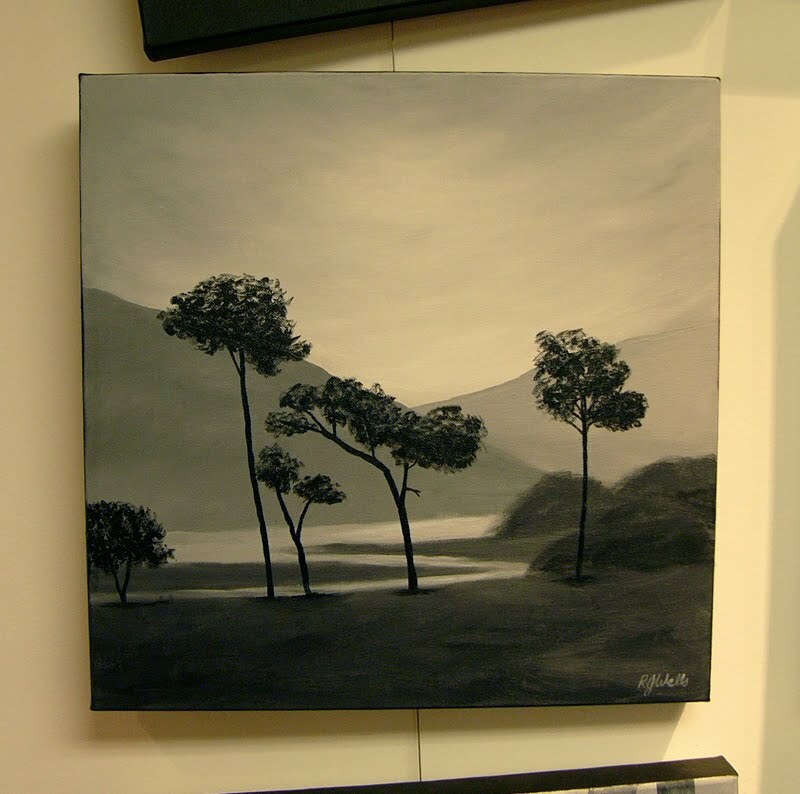 Below on the left is my other painting of Lyttelton Harbour. Wow these are just wonderful!! I LOVE the black and whites... like dreamy photographs! What talent you have! Beautiful paintings. I love your work....well done. Mists of Maruia is a very emotive piece of work. Wow Rose, you are so clever!